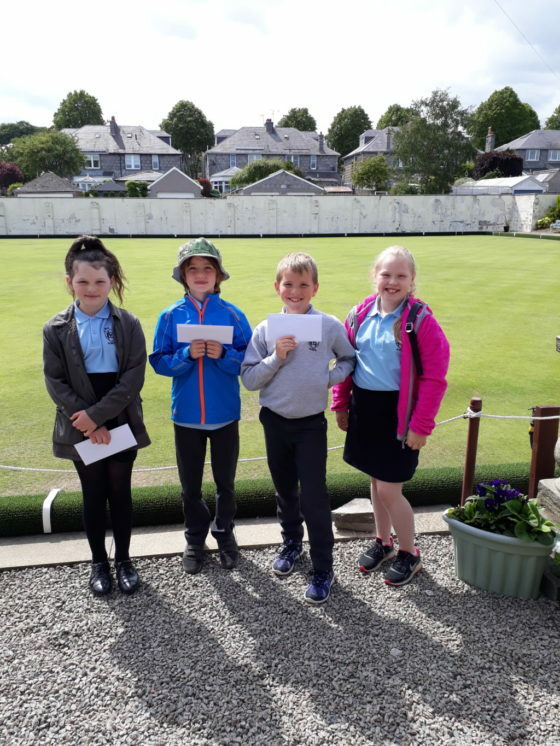 Room 18 had their last session of lawn bowls today at Aberdeen Bowling Club. Thank you to the members who gave up their time to teach us. Everyone has enjoyed the lessons and improved a lot. We have been very lucky to have had fine weather during all the sessions which has made it even better. Today everyone played a game and those judged to be the best players were awarded with a membership of the club for this year. Well done to the four of you! And well done to all the children from Room 18 for being such wonderful ambassadors for Mile End over the four sessions. Thanks also to the parents who came with us each week and to those who came to watch us today.